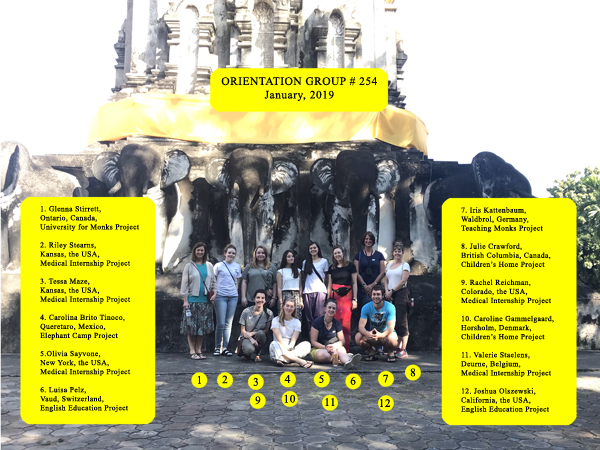 Presenting Chiang Mai Volunteer and Intern Group #254! This group arrived earlier this month and started in their projects a couple of weeks ago. A great group of twelve volunteers and interns from Canada, Mexico, Denmark, Belgium and the United States. It’s a lovely time to be volunteering here in Chiang Mai. The weather at this time of year, here in northern Thailand is beautiful, with warm sunny days and cool, clear nights.